Believe it, you can bring something unbelievable to sick kids and their families when they need hope and strength the most. Picture an 8-year-old boy who spends his days lying in a hospital bed. He hasn’t smiled since the treatments began. Since he heard his mom crying in the hallway. Now imagine that something amazing happens – something which transforms this sad, scared kid back into a hopeful, laughing boy. 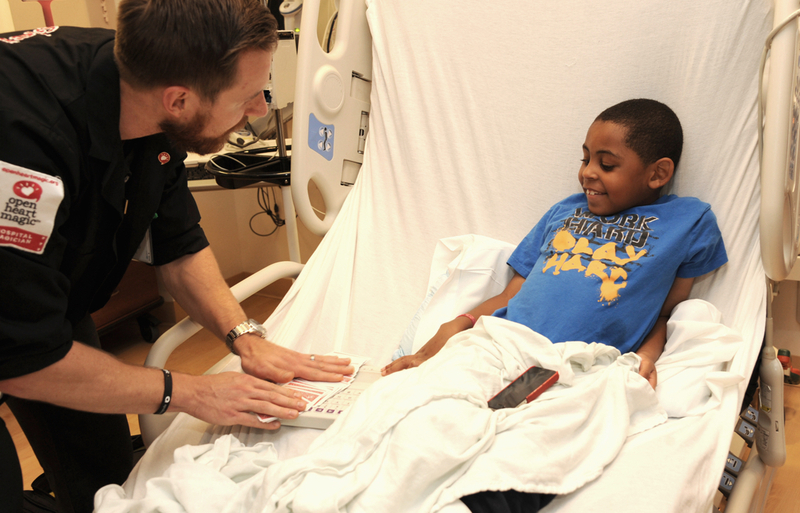 In children’s hospital rooms across Illinois – and now in Ohio and Michigan – Bedside Magic® is changing the hospital experience for critically ill kids. Our Hospital Magicians visit every child in a hospital, delighting and empowering kids by teaching them how to perform magic. As kids discover their new power to amaze their doctors, nurses and family members with magic, something remarkable happens. They sit up in their hospital beds. They re-engage. And they find the strength they need to keep fighting to get better. You can be instrumental in bringing an innovative children’s charity program to your city – one that can reach thousands of kids at their hospital bedsides. This is a hospital program unlike any other. Our Hospital Magicians – specially trained in hospital protocols – are able to work with kids in Pediatric Intensive Care, the Burn Unit, Inpatient Oncology, and throughout the hospital. You can be the driver in bringing this incredible, life-changing program to children’s hospitals in your city. We want to partner with individuals and foundations who are willing to underwrite the cost of bringing Bedside Magic to their cities. This means supporting the program for the first 4 – 6 years it typically takes to achieve sustainability. After that, the program will be sustainable on its own through growth of a dedicated community of Hospital Magicians; a Charity Running Team initiative; and an Annual Benefit run by Open Heart Magic. We keep costs down by running a lean program that utilizes committed volunteers. Our highly successful growth model has enabled us to expand year after year. Bedside Magic programs are in thirteen children’s hospitals in Chicago, IL, Cleveland, Ohio, and Ann Arbor, Michigan. Your initial financial support of Bedside Magic in your city will lead to a sustainable program that continues to grow. Your legacy will be a program that touches the lives of young patients for generations to come. Building a program that recruits, screens and certifies volunteers to perform the important role of working with children requires strict adherence to multiple processes. We source Hospital Magician candidates through a proven, inexpensive recruitment model. Each candidate is interviewed and must pass a thorough background screening. Candidates receive certification as Hospital Magicians only after they successfully complete our intensive three-month Magic University training program. To retain Hospital Magicians over the long term, Open Heart Magic provides ongoing support, training and annual reviews, while always cultivating the sense of belonging to a very special community. The end result is a group of highly motivated volunteers who are passionate about making a difference in kids’ lives. Could this program be started to honor a family member? Absolutely. Starting a Bedside Magic program is a beautiful way to honor a loved one. We’ve had families involve their kids in helping to grow an existing program. We’ve also worked with courageous families who – after experiencing the tragic loss of a child – have raised funds to kick-start Bedside Magic in a new city. 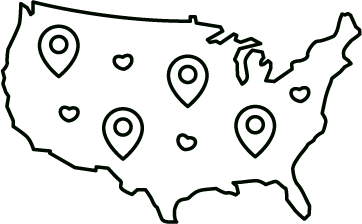 We are eager to inspire your community with news of your role in bringing Bedside Magic to your city. We want you to share in the goodwill created by your generosity. Seeing the level of your commitment may spur on other philanthropic leaders to join our cause of helping sick kids. Curious on bringing Open Heart Magic to your city? If you’re seriously interested in talking more about building a successful program in your city we would love to hear from you. But before we begin, it helps to know a little bit about your personal background and your city. This will give some some context to how it all works, what exactly it takes, and why a few critical pieces can lead to a lasting and sustainable program for kids in your city.